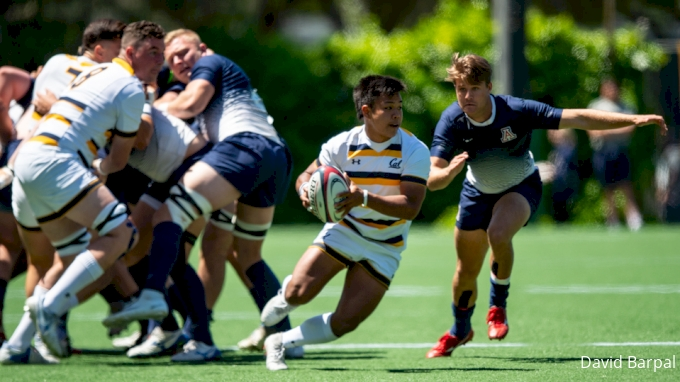 San Francisco Golden Gate defeated Santa Monica 43-17 on Saturday to stay in the hunt for a place in the PRP final, but it wasn’t a walkover. 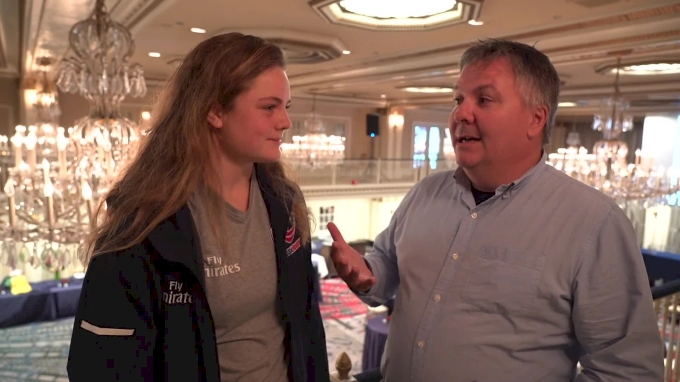 In a game played as part of the PRP Mid-Season Clash at Treasure Island in San Francisco, Santa Monica unveiled some of the team’s best offensive efforts in the game and, if not for a series of unforced errors, could have been in a position to win the game. “We felt we gave them about 21 points,” Santa Monica center Shawn Lee said. Certainly seven of those points came on a soft turnover, but penalties and poor exit strategies (kicking into the wind instead of using the cross breeze) also hurt the Dolphins. For SFGG, the game was enough, but that was basically it. A lovely setup from Moto Filikitonga put wing Lisiate Huihui away down the sideline for a try barely two minutes into the first half. SFGG went right back on the offensive but seemed a little too in love with the idea that its scrum was stronger than that of Santa Monica. 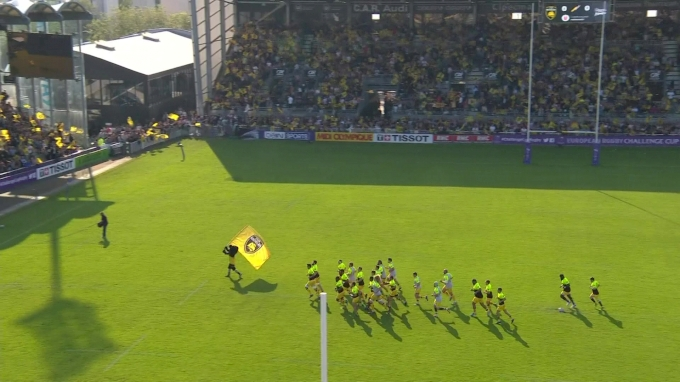 A series of penalties inside the Dolphins’ 22, some very kickable, were instead run as scrums. 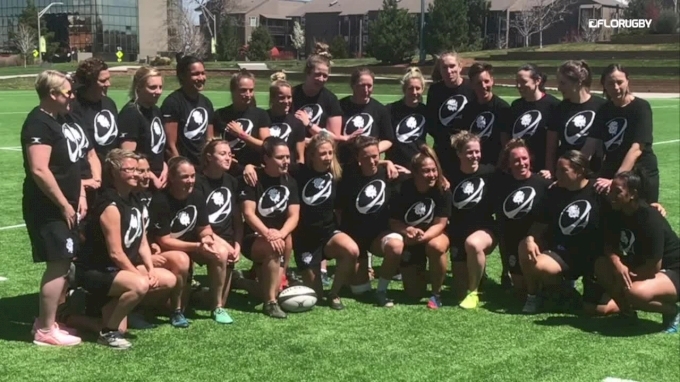 “I don’t know if calling for eight straight scrums was such a good idea,” captain Brendan Daly said. 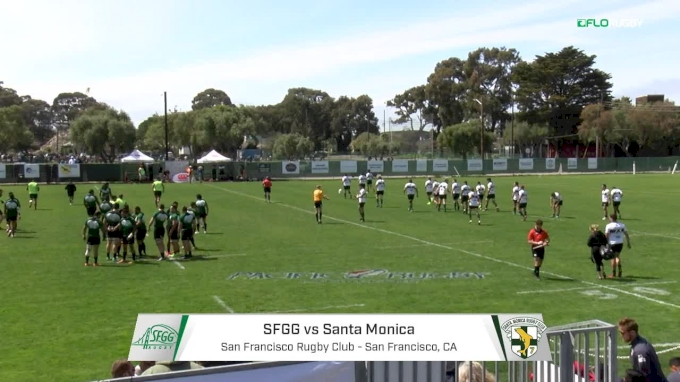 Finally, after about seven minutes camped in the Santa Monica end, Golden Gate scored off a scrum, with No. 8 Akuila Uaisele picking it up from the base and diving over. Battling a stiff cross breeze, Santa Monica had trouble getting into SFGG territory. But 27 minutes in the Dolphins got some good go-forward and quick hands out to Quinn Perry saw the fullback beat three defenders with a dummy and two cutbacks to score under the posts. It was a good example of what Santa Monica can do. But so was a fairly egregious series in which the Dolphins kept flinging the ball around near their 22, and eventually, such silliness produced a loose ball that bounced into the hands of SFGG center Eakalafi Okusi, who cruised around and into the corner to give his team a 19-7 halftime lead. Two minutes into the second half it was 24-7 as a bullocking run from prop Nathan Sylvia set up a pick-and-dive from Uaisele for the No. 8’s second of the day. Santa Monica pressured after that but had trouble getting enough bodies to the breakdown to sustain the effort. 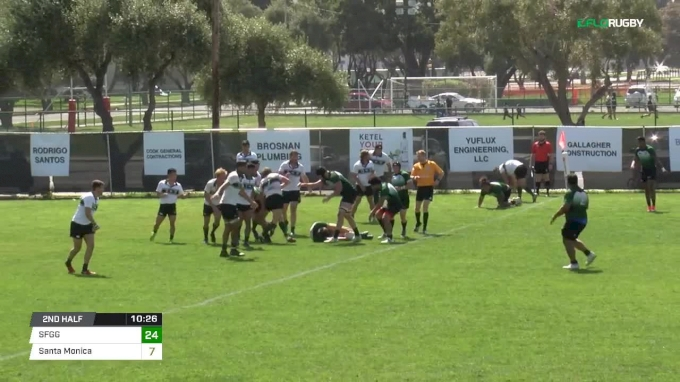 Down 24-7, Santa Monica needed to score quickly and had a chance with an attacking lineout, but a superb jump from SFGG lock Nick Grass—who was effective all day—put a stop to that. 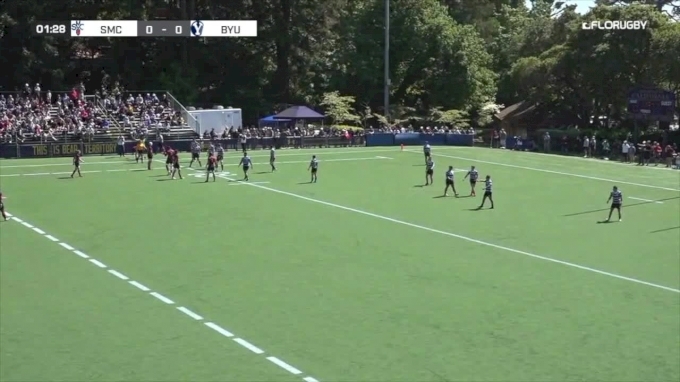 SFGG rebounded with a break from Filikitonga and then Daly burst through from a more backline position, dummied away a defender, and was in for a try. Finally, the Dolphins got that try, working a tap penalty move that owed much to Perry’s brilliant catch-and-pass to set up Allan Corruth in the corner. By this time SFGG was down two men due to yellow cards, and Santa Monica made that count. Sustained pressure ended with scrumhalf Victor Woo sliding in under everyone, cutting SFGG's lead to 29-17. At this point, SFGG looked a bit at sea and Santa Monica had some momentum. But a knock-on at the ensuing restart gave SFGG some hope. 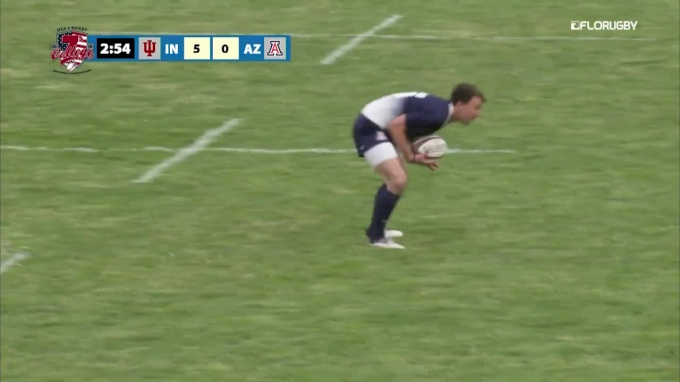 When Daly and scrumhalf Colby Stevens saw the Dolphins had their fullback up, Stevens popped a perfect box kick that the captain chased down and gathered to score. “I saw it was going to bounce so I held back so whichever way it went I could change my line, and I got lucky,” Daly explained. 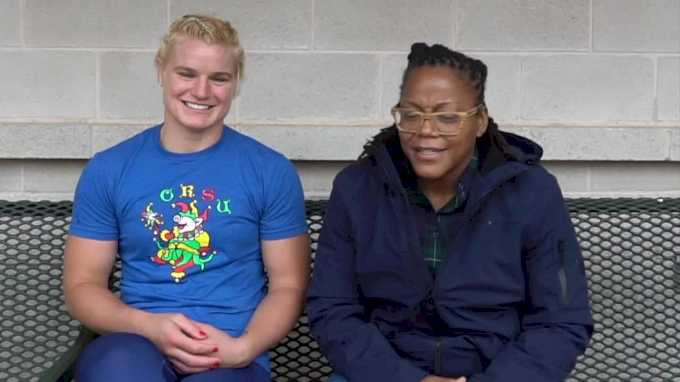 The try proved to be crucial—as it regained momentum for SFGG—and the hosts capped it off with a good team try scored by Tevia Okusi. For Santa Monica, it was a game of opportunities squandered and chances given to the opposition. While for SFGG, it was a showcase of some moments of brilliance mixed with header-scratchers. Daly was named the player of the game and deservedly so, but Stevens at scrumhalf and flanker Langilangi Haupeakui were outstanding also—the latter was a terror in contact. SFGG improves to 4-2-1 and keeps pace with Belmont Shore in the chase for second. Santa Monica drops to 1-6.